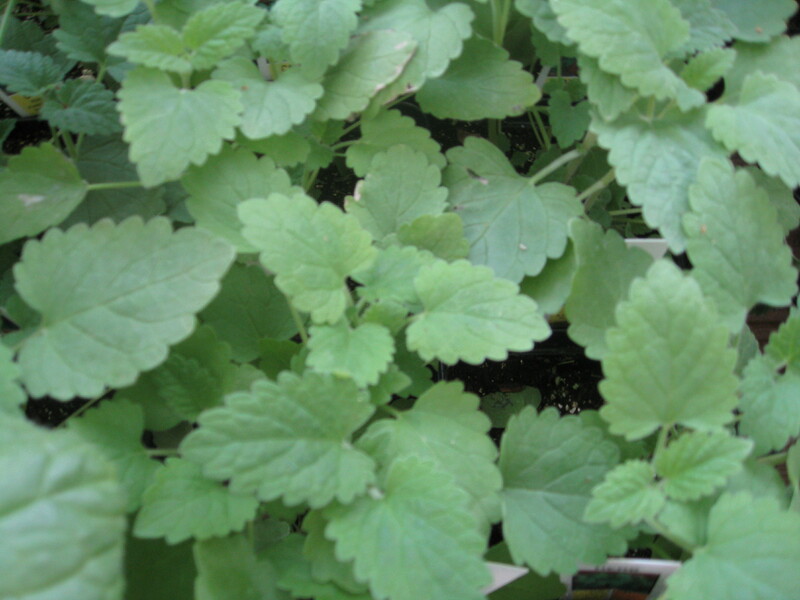 Comments: tall herb resembling mint in appearance, with greyish-green leaves which can not grow in the shade, but will grow in fairly alkaline soils. It has medicinal uses and is enjoyed in teas. Catnip can cause an amazing reactioon cats. They will rub it, roll over it, kick at it, and generally go nuts for several minutes. They quickly loose interest and walk away only to repeat the behavior after an hour or so.